What to look for when buying a used Toyota Tacoma? The Toyota Tacoma is sold exclusively in the North American market, beginning in 1995 when it replaced the Toyota Pickup. The previous-generation Pickup had been a rebadged and somewhat tailored version of the Hilux, which is still sold internationally. The Tacoma is designed and sold separately and is almost entirely unrelated to the Hilux. The Tacoma began as a compact pickup truck and has since grown into a midsized pickup. It is now the best-selling small pickup truck in the United States. The first-generation of the Toyota Tacoma launched in 1995 as a more road-ready, consumer-driven pickup than the Pickup model it replaced. The Tacoma name comes from the indigenous name for Mount Rainier in Washington state. Three engines were offered in this Tacoma, starting with two four-cylinder options and a V6. These were mated to either a four-speed automatic or a five-speed manual transmission. The second-generation of the Tacoma came in 2004 and is the most-sold small pickup truck in America. A 2.7-liter four-cylinder and a 4.0-liter V6 were offered with four-, five-, and six-speed transmissions in manual and automatic. The truck grew from its compact size to a midsize offering and several trim and model options were offered during this generation's 11-year run. Cab configurations ranged from single ("regular") to extended to crew cabs, depending on model year, and with two bed lengths, also depending on model year and cab configuration. During this generation, production of the Tacoma moved from the Fremont, California plant (which had been shared with General Motors) to Texas where Toyota had completed new facilities dedicated to truck production. The third-generation Tacoma was introduced in 2015 as a 2016 model. Substantial changes were made to the pickup to bring it into line with the new emergence of a once again competitive midsize truck market. The 4.0L V6 was dropped in favor of a powerful, but more economical 3.5L option. Exterior changes were made to make the Tacoma far more aggressive in styling. Model trim packages were extended to include robust off-road options as well. Although the Toyota nameplate and Tacoma model have enjoyed relatively high expectations for reliability on the whole, the Tacoma still has its fair share of complaints. Most are with the second-generation model, which sold in huge numbers in the U.S. These are usually low mileage concerns that are covered under warranty and include accelerator issues, paint issues, and electronics problems. What is the average price for Used Toyota Tacoma? How many are for sale and priced below market? What Toyota Tacoma model year and mileage can you get for your budget? Where does used Toyota Tacoma rank in comparison to competitor vehicles? What Is The Average Price Of A Used Toyota Tacoma By Model Year? What Is The Average Price Of Competitor Cars To The Used Toyota Tacoma? What Is The Average Price Of Used Toyota Tacoma In The Top 10 Cities? The current-generation Toyota Tacoma is now in its third year since redesign and continues to be the best-selling midsize pickup truck on the market. There's good reason for that, but also room for improvement in the Tacoma. The Tacoma remains a solid little truck with plenty to offer, however, including lower-end options for workaday use and higher-end off-road powerhouses for fun. The 2019 Tacoma sees a few updates to its rough and ready TRD Pro trim level, which now has even more off-pavement equipment as standard. An available high-mounted snorkel is also offered for the TRD Pro line. But even the lower-end Tacoma offers good off-road options thanks to a high ground clearance and good suspension as standard equipment. 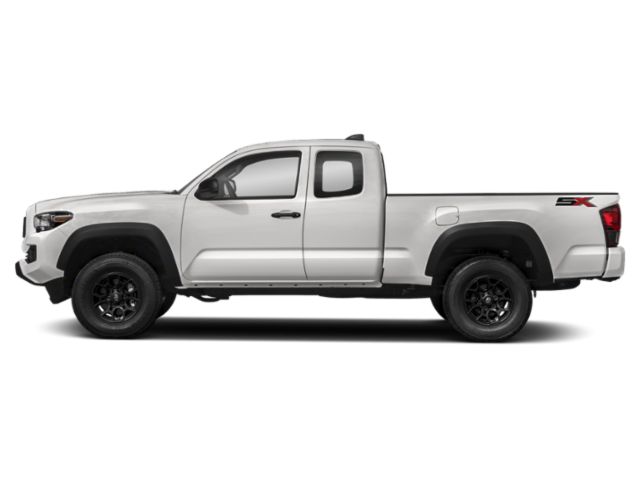 As a strong and capable little truck, the 2019 Toyota Tacoma is also versatile and useful as a pickup. There are two engine choices, six trim levels, two cab configurations, two bed lengths (based on cab choice), and rear-wheel or four-wheel drive. Each of the six trim levels available for the Tacoma offer something specific to most needs, from low-end work truck to everyday driver to off-road powerhouse. The 2018 Toyota Tacoma is a strong, capable and versatile little truck. It was redesigned for the 2016 model year and hasn't changed much since then. For 2018, Toyota added some safety features as standard and removed the base model's manual transmission option. The 2018 Tacoma is otherwise unchanged. It's not a bad thing since the Toyota Tacoma is a solid little truck and remains the best-selling midsize pickup truck for a good reason. Tacoma models work for for simple workaday needs, everyday drivers, occasional off-roading and cargo hauling, and serious off-pavement activity and weekend fun. Whatever you have planned for the 2018 Tacoma, there's a model to fit. The Tacoma is available with two engine choices, six trim-level options and two cab options. The base model SR is popular as a fleet truck or small business hauler, while the SR5 is often a consumer's entry-level pick. Three Toyota Racing Development (TRD) trims are offered, starting with the TRD Sport and moving to the TRD Off-Road and TRD Pro editions. The Limited package is the top fitting in terms of comfort and convenience. Most models of the Tacoma are available as rear-wheel drive or four-wheel drive. Both an extended cab and four-door crew cab option are available in most trims as well. Bed lengths can vary from 5 to 6.1 feet in length, depending on cab choice and model trim. The 2017 Toyota Tacoma continues with the pickup truck's full redesign for the 2016 model year. Changes for 2017 are minimal, with only the addition of a power rear-sliding window option as new. The TRD Pro packaging returns after a year's hiatus, bringing back the off-pavement-monster model option for the Tacoma. Most of the 2017 Tacoma's appeal comes from its new look and powerful history. The Tacoma has long been a best-seller in the midsize pickup truck segment, for a variety of reasons. Currently, the main reason may be because it's the newest and best overall value offering in the truly midsize segment. The excellent and unmatched TRD Pro package may also be part of it this year. The 2017 Toyota Tacoma is a strong, capable, versatile and comfortable small truck for those who need what a midsize pickup can offer. It's capable of being both a workhorse and a toy. Exactly what midsize pickup buyers want. There are people who want a pickup truck for the capabilities it offers such as towing a trailer or hauling various loads. But don't want a full-size model as they find them hard to maneuver and they don't want to faint whenever they go to fill up the gas tank. Is there a truck for these type of folks? Yes, and it is the midsize truck. Now for a few years, you only had the choice between the Nissan Frontier and Toyota Tacoma. This was due to other manufacturers dropping their models because of declining sales in the class. But the past couple of years has seen a resurgence in the class thanks to GM introducing the Chevrolet Colorado and GMC Canyon. These two trucks brought big improvements in terms of comfort, powertrains, and towing. Not to be outdone, Toyota introduced a redesigned version of the Tacoma to give GM's midsize trucks a real challenge. The 2013 Toyota Tacoma is in its second generation of production. The Tacoma was first introduced in 1995 as a compact pickup to compete with models like the Mazda B2200, the Chevrolet S-10 and the Ford Ranger. Starting in 2005 it was remodeled for the second generation, bringing a new style and substance to its looks and performance and turning the B2200, Ranger and S-10 into distant past memories. The 2013 Toyota Tacoma follows in those competition-crushing footsteps. The most noticeable difference for the 2013 model of the Tacoma is the restyling of the front grille, headlights and bumper, but that's not where it ends.